Comic Book Pitt #60 – Damn Dirty Humans! Duke is on special assignment this week, so Dang is joined by guest co-hosts Dicky Walters and Dr. Zaius. 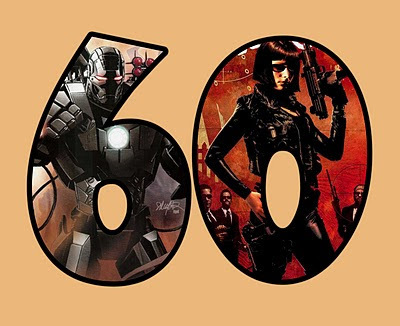 In this sixtieth episode they discuss the the untimely passing of Dwayne McDuffie and review Iron Man 2.0 #1, Lost At Sea, Jennifer Blood #1, Brightest Day #20, Thunderbolts #153, Heroes For Hire #1-3 and Black Panther: The Man Without Fear #515. Comic Book Pitt theme music is by Nik Furious. You can find more of Nik’s music on iTunes. Comic Book Pitt can be found on iTunes, on Facebook, on Twitter and is a proud member of the Comics Podcast Network. Discussion Group and join in on even more comic book conversation. This entry was posted in Comic Book Pitt, Comic Podcasts and tagged black panther, Brightest Day, Dwayne McDuffie, Iron Man, jennifer blood, lost at sea, SPACE, steel city con, the man without fear, Thunderbolts, war machine by comicbookpitt. Bookmark the permalink. Comic Book Pitt is a weekly podcast broadcast from Pittsburgh, PA that talks about and reviews comic books.